AGCO Jackson Operations, the Minnesota-based manufacturing center for AGCO Corporation (NYSE:AGCO), a worldwide distributor and manufacturer of agricultural equipment, has been named the 2017 Assembly Plant of the Year. The Jackson facility manufactures complex, custom-configured Challenger® and Massey Ferguson® agricultural machines including tractors and application equipment. The Assembly Plant of the Year award was founded in 2004 to showcase production facilities in America and the people, products and processes that make them successful. The award is presented by ASSEMBLY magazine to a state-of-the-art facility that has applied world-class processes to reduce production costs, increase productivity, shorten time to market or improve product quality. 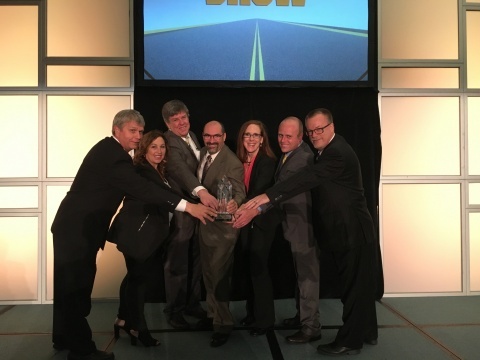 AGCO Jackson Operations was chosen as the 2017 Assembly Plant of the Year because of its use of cutting-edge technology such as Glass assisted-reality wearable devices and adoption of mixed product manufacturing processes. These manufacturing innovations enable the company to custom build five distinct types of tractors and applicators in multiple variations – and to do so better, faster, more efficiently and to the highest standards of quality. In 2011 when AGCO moved production of Challenger and Massey Ferguson high-horsepower wheeled row crop tractors for the North American market to Jackson, the company began a five-year, $50 million factory upgrade to improve efficiency and increase production capacity by 25 percent while maintaining the same high product quality. Gulick points out the expansion enabled AGCO to add four quality gates for in-line testing, letting workers troubleshoot quality issues and make needed corrections earlier in the process. The addition of state-of-the-art testing equipment at the end of the line employs a two-hour evaluation of completed machines and further ensures all products will perform to maximum capacity in the field. Part of the change in Jackson included moving to a mixed model manufacturing line to streamline processes and provide the flexibility needed to custom manufacture machines where no two are exactly alike. For example, the build sequence can have a high-horsepower Challenger tractor with tracks, followed by a high-horsepower Massey Ferguson tractor with wheels. The mixed model assembly line enables operators to easily switch back and forth between the two while reaching AGCO’s quality requirements. With a moderate volume of Challenger and Massey Ferguson tractors manufactured each year as well as seasonal demand swings and changes in the market, the mixed assembly provided AGCO the flexibility to better meet the just-in-time product flow needed from the plant. “A mixed model line works best because we can adjust to produce a large variety of a mix of products or product variation on the same line,” says Eric Fisher, general manager, Operations in Jackson. The Jackson team also implemented several lean manufacturing initiatives to improve throughput, reduce operating costs and boost quality. For example, employees are empowered to find better, more efficient processes in production of the machinery. In 2013, a three-step, problem-solving online tool was introduced so employees could submit suggestions to improve safety, product quality or reduce costs in their daily work or area of the plant. Since its inception, 13,095 ideas have been submitted. In 2016, recordable savings reached just under $1 million. Another example is the use of a lean daily management system to ensure critical information is communicated in timely, systematic forums. Each morning, the Jackson management team meets on the plant floor to review cost, delivery, quality and safety targets. They discuss standardized control points and metrics posted on boards and kiosks on the plant floor. All employees are encouraged to participate in the daily meetings. Glass is an assisted reality, wearable headset device being used in Jackson. 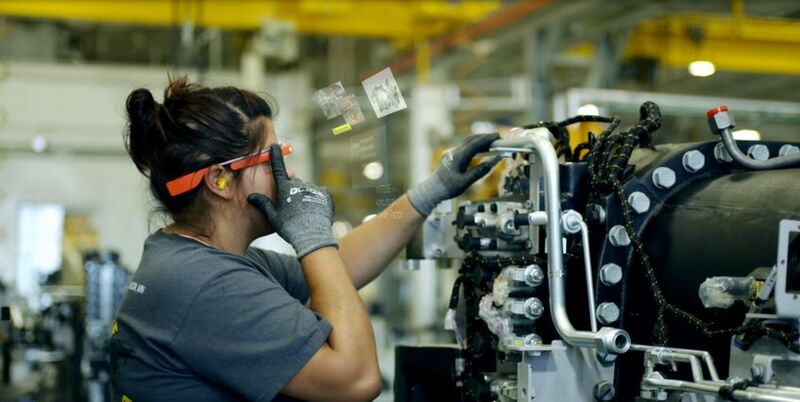 Glass provides each worker hands-free instant access to parts lists, assembly instructions, quality checkpoints and other work instructions for the specific machine. Today, AGCO is the only agricultural equipment company using this technology in manufacturing, with more than 100 pairs of Glass deployed at the Jackson facility. The technology also is being adopted at six other AGCO facilities globally. By using Glass in product quality control, AGCO has been able to reduce inspection time by more than 30 percent and cut the production time for low-volume, high-complexity assemblies by 25 percent. In addition, training is more efficient with a 50 percent reduction in time needed to train new employees and staff training on cross-functional operations cut threefold, reducing the average learning curve from 10 days to three. As the winner of the 14th annual Assembly Plant of the Year competition, AGCO joins previous recipients including Bosch Rexroth Corp. (Fountain Inn, SC); Polaris Industries Inc. (Spirit Lake, IA); STIHL Inc. (Virginia Beach, VA); Northrop Grumman Corp. (Palmdale, CA); Ford Motor Co. (Wayne, MI); Philips Respironics (New Kensington, PA); Eaton Corp. (Lincoln, IL); Batesville Casket Co. (Manchester, TN); IBM Corp. (Poughkeepsie, NY); Schneider Electric/Square D (Lexington, KY); Lear Corp. (Montgomery, AL); Xerox Corp. (Webster, NY); and Kenworth Truck Co. (Renton, WA). For more information about manufacturing innovations at AGCO, visit https://news.agcocorp.com/news/glass, <>https://www.youtube.com/watch?v=2jIbhRPCJG4 or to learn more about the Assembly Plant of the Year Award, visit <>https://www.assemblymag.com/plantoftheyear. ©2017 AGCO Corporation. Massey Ferguson is a worldwide brand of AGCO. Challenger is a registered trademark of Caterpillar Inc. and is used under license by AGCO. AGCO (NYSE:AGCO) is a global leader in the design, manufacture and distribution of agricultural solutions and supports more productive farming through its full line of equipment and related services. AGCO products are sold through five core brands, Challenger®, Fendt®, GSI®, Massey Ferguson® and Valtra®, supported by Fuse® precision technologies and farm optimization services, and are distributed globally through a combination of over 3,000 independent dealers and distributors in more than 150 countries. Founded in 1990, AGCO is headquartered in Duluth, GA, USA. In 2016, AGCO had net sales of approximately $7.4 billion. For more information, visit http://www.AGCOcorp.com. For company news, information and events, please follow us on Twitter: @AGCOCorp. For financial news on Twitter, please follow the hashtag #AGCOIR. BNP Media is one of the country's leading business-to-business media companies serving industry professionals across 50+ industries through magazines, custom media, enewsletters, website conferences, events and market research. BNP Media is committed to helping professionals succeed in business by providing superior information. We have advertisers and readers around the world, and can translate our publications in any language, depending on our clients' needs. Founded in 1926, BNP Media is a fourth-generation, family-run business headquartered in Troy, Michigan, with regional offices around the country. For more information, visit www.bnpmedia.com.